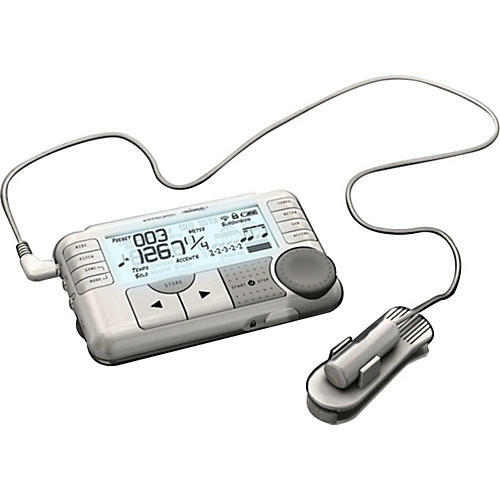 Peterson Electro-Musical Products introduced the first new approach in metronome technology in decades with the original BB-1 BodyBeat pulsating metronome. This wireless metronome is now used worldwide by music students and professionals alike. The BBS-1 BodyBeat Sync builds on the silent pulsing metronome concept by allowing an unlimited number of performers to synchronously feel or hear the same beat through wireless connectivity. Just program tempos into the Peterson metronome's intuitive user interface and recall them as presets or program them from a scoring program that's complete with complex changes and the BodyBeat Sync will store your tempo map in its memory. You can either rehearse with it audibly or perform with it silently.